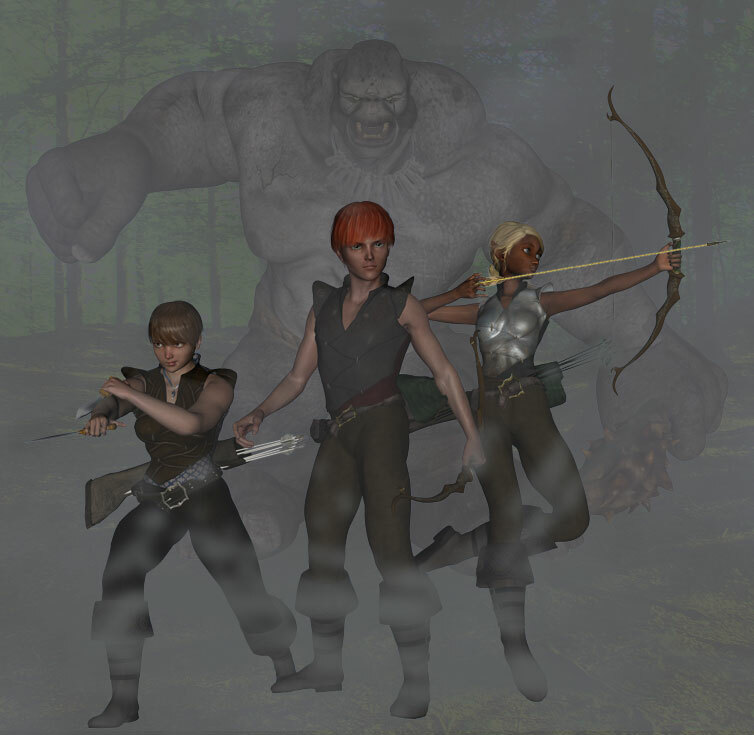 Stories about the adventures of a trio of young Rangers in a fantasy setting. Once they’d left their horses, the trio began to jog through the forest at high speed. Their long days of training giving them the stamina they needed to move quickly and silently through the nearly impassible thick brush and woods. It was that silence that first let them hear the troll. A distant cracking sound, like trees being felled, and the cries of birds rising up into the thick air of the late summer afternoon. After they’d heard it, Thorin sent Myra up a nearby tree, which the wood-elf girl leapt up into with fluid grace, jumping from branch to branch. She was down moments later, letting herself drop to the ground in front of them without making a sound. Thorin made a grunting noise. “Crap…” Feena made it sound so easy, and as he thought about it, it could work…Should he do it? After a moment’s thought, he made his decision. Thorin dived to the side, avoiding the powerful club-axe as it splintered the trunk of the tree behind him, and continued on out the other side. The mighty tree fell around him, but Thorin managed to scramble out of the troll’s reach- for the moment. 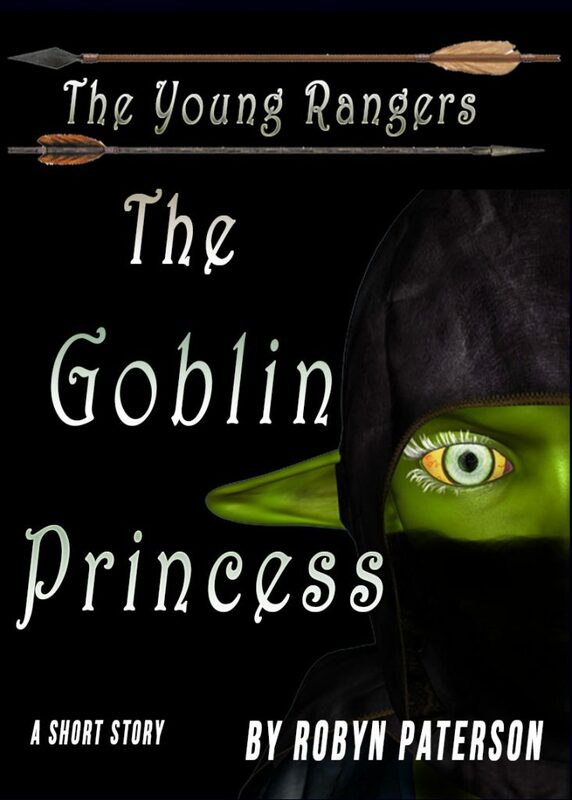 As he watched, Feena ran past, a hunting knife in each hand as the short and solidly built girl leapt up into the air with a feral scream and tried to bury the knives in the troll’s lower back. But, the troll was already moving, and where his back had been was now a mighty fist swinging around at Feena with surprising speed. Thorin saw the ranger girl bring her arms up just in time to absorb the blow as it struck her, and then it sent her arcing back and out into the forest. Thorin was on his feet in a moment, running as fast as he could away from the deadly giant. As he ran, he scanned the forest for Myra, but saw no sign of the elf until he heard the troll scream again. Glancing over his shoulder, he saw that Myra had alighted on one of the trees above the troll and was raining arrows down on the angry beast. The arrows still weren’t even getting close to it, but they did act as a distraction, which Thorin knew was exactly what Myra was giving them. She was faster and more able to elude the beast than her human partners, so she made the perfect one to keep it occupied. With this in mind, Thorin dashed in the direction he’d seen Feena fly. If she was hurt, he needed to get to her while the troll was still chasing Myra. He found Feena pulling herself out of a thicket, and looking none the worse for wear. She smiled when she saw him coming. Thorin shook his head. Sometimes he wondered what this girl was made of. Thorin and Myra looked at the girl in disbelief. Both of them looked at Thorin, who looked away. Thorin just stared at the ground, turning red. “What?” The other two looked at him in surprise. Humans had a love-hate relationship with Elves, and this had caused Myra quite a bit of trouble in the past. At last, the Elfen ranger agreed, and Thorin watched her depart with only a single worried glance back. Then he looked at Feena. “You have a plan?” He said. 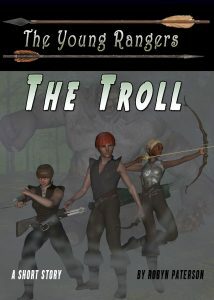 This entry was posted in Short Fiction, The Young Rangers and tagged Fantasy, Rrangers, Troll, YA on August 16, 2016 by UltraRob. The troll came over the rise. Dark green muscled skin. Eyes like coals. Taller than decades old trees. The thing lumbered along the forest path in huge gaping strides that Thorin could feel through his knees. It was like someone was dropping rocks onto the ground in front of him- huge, heavy rocks. From his vantage point in the bushes, Thorin watched, and tried to focus his breathing. He wouldn’t be able to make the shot if he didn’t breathe properly. Tremors ran along the bow in his hand, betraying his inner feelings, and he forced himself to ignore it, trying to stay on target. He had chosen this. It was his choice to be here. Now the others were counting on him to make the shot. Arrows would penetrate a troll’s thick hide, but they wouldn’t hurt it. He’d been told that it was like putting arrows into a tree- a little penetration, but no real damage. No, in order to hurt this monster he needed to aim for its weakest points- the eyes, the joints, or the throat. Any of these would at least hurt it, and Thorin and his comrades could work from there. Myra was the best shot among the young rangers- she would aim for the eyes. Thorin, as the next best shot in the trio would aim for the throat. Feena, the least skilled with the bow of the three ranger cadets would aim for the legs in hopes of slowing it down. And all of this would only work if they acted as one single, timed unit. As the troll approached the chosen point, Thorin began to pull back on the bow. His eyes no longer focused on the flower that marked the place where the troll would fall, but on the beast’s throat, which was encircled by a necklace made of tiny bones and animal skulls. It was almost like a target, and Thorin aimed for the center…Waiting…Waiting…. Timing his shot with his breath, Thorin unleashed the arrow. At the same time, from their chosen hiding places, Thorin heard the twanging sounds of other arrows being loosed. The troll seemed to sense something was wrong, and actually stopped and gripped it’s necklace in its hand, but it was too late- the arrows were already on their way, and its fate was sealed. Nothing could save the troll from the deadly shafts but a miracle. As Thorin watched, the arrows they’d unleashed were suddenly flung aside by a mighty gust of wind that sent them clattering off into the trees! It was like an invisible hand had reached out and swatted them from the air. How was this possible? Could this be real? He froze, he wasn’t sure what to do. From their hiding places, he saw the other two ranger cadets emerge. On the other side of the path, Myra was standing now, her blonde hair shining in the sun as the slender elf girl began to unleash a torrent of arrows at the beast with amazing speed. Feena was behind the troll, and she too rose from cover, firing as quickly as she could. Her stocky muscled form tiny compared with the troll, but she stood near it undaunted- like a child facing down an adult. However, no matter how many arrows they threw at it, the same thing happened- each of them was knocked aside while the troll just stood there and watched them, a growing snarl on its lips. Then the snarl turned into a howl of anger and it let out a mighty roar, raising its club-axe into the sky. Then it charged right at them. When Thorin had been roused early that morning by his adopted sister, Myra, the last thing he expected was to be in the middle of a war by the afternoon. But that is what had happened. Even before the oatcakes were finished, a messenger had come to the house and let them know that Thorin and Myra were to report not to their school, but to the archery grounds on the edge of the city as soon as they could- kitted for travel and battle. Thorin and his sister had looked at each other in wonder, but they’d done as they were told. They were cadet rangers in the Black Woods Clan, and it wasn’t unusual for them to be summoned to surprise training exercises. But this felt different, although Thorin wasn’t quite able to say why. When the two had arrived at the archery grounds, they’d found over thirty of the village’s best warriors there, along with men and women hurriedly preparing horses and other equipment. In the chaos, they’d found their teacher easily enough- Ranger Hastur’s bright red bandanna was easy to spot in this sea of green and brown. The third member of their cell, Feena, was already there with him. Thorin felt his legs begin to shake at the mere mention of them. Trolls were huge, nasty creatures who lived in the uninhabited Southern Reaches and were part of the reason why few men did. It was said a single troll was equal to a dozen armed men in battle, and just the whisper of their creed was enough to set most people’s hearts racing. “So why are they here?” Thorin asked. Thorin shook his head. “But we…” He started, and not finding the words, he looked at his teammates. Feena just shrugged, but Myra addressed their mentor. The trio looked at each other, then nodded to their leader in unison. “I just hope we return too,” Thorin mumbled to himself. 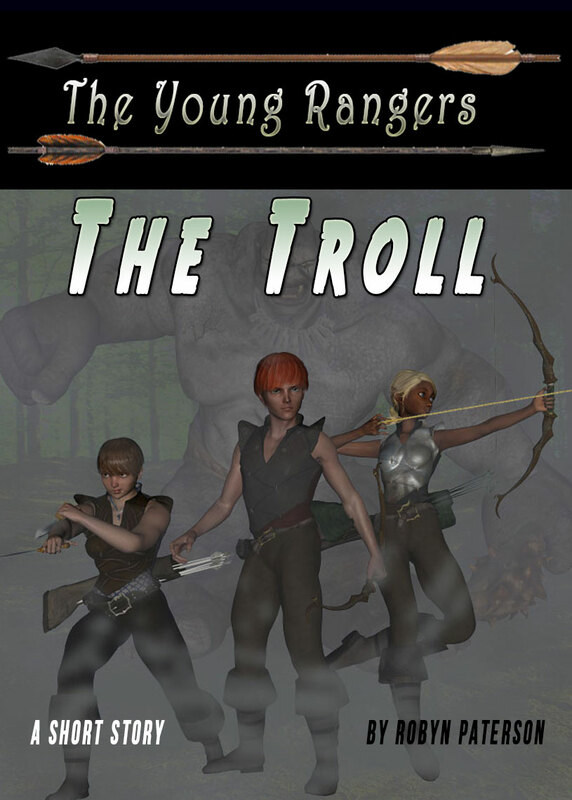 This entry was posted in Short Fiction, The Young Rangers, Uncategorized and tagged Coming of Age, Fantasy, Rangers, Trolls, Young Adult on August 15, 2016 by UltraRob.